Registration allows you to keep track of all your content and comments, save bookmarks, and post in all our forums. Or click here to search for specific content. UNCONFIRMED: Armored Mewtwo Comin..April Coro-Coro Magezine To Inclu..Ubisoft Offers French Government ..Joker joins the Super Smash Bros...First PlayStation 5 details have ..
Game GuidesLatest exclusive guides Member WalkthroughsLatest walkthroughs New QuestionsCan you answer these? Latest PostsWhat new on the forums Forum SearchFind the forums for you Forum GamesTime to waste? This is a mixed martial arts game that is based on the UFC (Ultimate Fighting Championship). 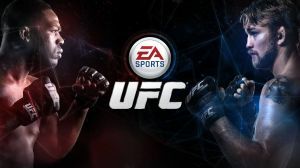 There are a total of 97 (not including DLCs) UFC fighters in a number of weight classes and also includes UFC legend Royce Gracie and Bruce Lee as unlockable fighters. Anything missing from this guide? No comments yet. Tell us what you think to be the first. Many of our guides get updated with additional information. To get an email when this guide is updated click below. No discussions open for EA Sports UFC at the moment. © Web Media Network Limited, 1999 - 2019. This site is not affiliated in any way with Microsoft, Sony, Sega, Nintendo or any video game publishers. Super Cheats is an unofficial resource with submissions provided by members of the public. These are not usually tested by us (because there are so many), so please use them at your own risk.